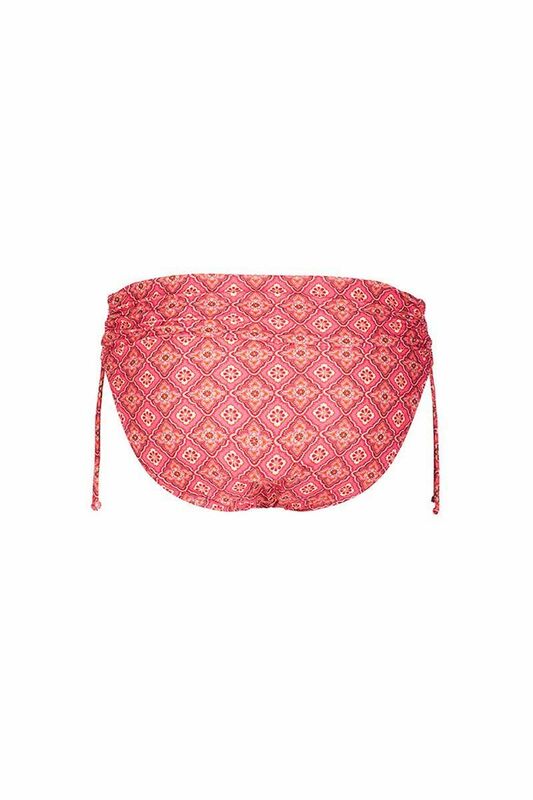 Our pink 'Kirsty' bikini brief is designed to have an average to high waist because of the adjustable cords on the hip. It's printed with an India-inspired diamond print and is fully lined. Wear it with matching bikini top or mix & match with other prints. Please note: the cut-out of the print may differ from the picture.